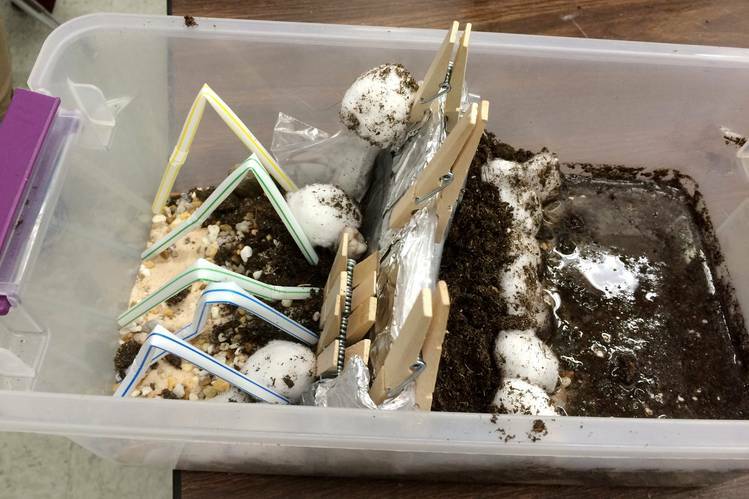 As four New York City ninth-graders arranged soil, pebbles, plastic bags and tongue depressors in a clear box, they hoped their model levy would work better than the ones that failed New Orleans during Hurricane Katrina. Unfortunately, the water broke through. Studying disaster prevention and recovery might seem like a niche theme for a new high school. But the Urban Assembly School for Emergency Management in lower Manhattan reflects a growing brand of “career and technical” education, which aims to marry academic rigor with practical know-how, leading to middle-class jobs. New York City’s expanding CTE roster has 51 dedicated public high schools, including 13 launched in the past two school years. They try to use training in specific professions, such as television production and graphic design, as a hook to excite students about learning so they pursue college—and equip the students with marketable skills if they don’t. Supporters say CTE today is far more demanding than vocational tracks a generation ago, which were often seen as dumping grounds for students who couldn’t handle college-preparatory courses. Phil Weinberg, a deputy chancellor at the New York City Department of Education, cites the High School of Fashion Industries in Manhattan to illustrate the changing emphasis. It was launched almost a century ago to prepare immigrants to work as seamstresses. Now it requires applicants to submit art or marketing plans and has a 92% graduation rate that far exceeds the city’s 68% rate, based on the city’s data. Former Mayor Michael Bloomberg spurred their growth. While Mayor Bill de Blasio has reversed many of his predecessor’s education policies, this is one area where they agree. Now 26,000 students attend CTE high schools, and that number is poised to grow. Counting CTE courses offered at other schools as well, the city says 117,000 students participate. This push comes as many employers report that young people need more than high school diplomas to compete in today’s tough global labor market. Career and technical high schools are supposed to work with industry partners to provide students internships and tailor classes to employers’ needs. They are also expected to teach the Common Core, a set of standards adopted by New York and most states for essential skills to be mastered in each grade. Seven of the city’s CTE high schools are run by Urban Assembly, a nonprofit network that aims to close achievement gaps. At the UA New York Harbor School on Governors Island, for example, students learn to be commercial divers. At UA Maker Academy in lower Manhattan, they use 3-D printers to build prosthetic hands. And at the UA School for Global Commerce in East Harlem, they study freight logistics. Some teachers say these options give students a real-world sense of purpose, and teenagers who feel useful are less likely to become discipline problems. At the UA School for Emergency Management in lower Manhattan, which is in its second year, students have helped demolish homes wrecked by superstorm Sandy and signed people up for “Notify NYC,” which sends emails and text alerts about local emergencies. Several students said they hoped to become police officers or rescue workers. Yash Sharma, a 9th-grader, commutes for an hour and 20 minutes from his home in Jackson Heights, Queens, because he wants to be a firefighter. Not all career-oriented schools succeed. Automotive High School in Brooklyn has been failing for so long state officials have threatened to take over or shut it down if it doesn’t improve soon. Last fall, city officials announced an overhaul and required teachers to reapply for their jobs. Board of Regents Chancellor Merryl Tisch has pushed for more quality CTE choices. To encourage growth, the board announced in October that students can now swap an industry certification test in culinary arts, welding, accounting and other trades for one of the five Regents exams needed to get a diploma. New York City officials say they want to expand CTE in health, tourism, construction and software engineering. Many educators see promise in the model of P-Tech, or Pathways in Technology Early College High School, in Crown Heights, Brooklyn. The school even got a nod in President Barack Obama’s State of the Union speech in 2013. Its students can complete an associate degree in six years and are first in line for jobs atInternational Business Machines Corp., its corporate partner. IBM says 40 similar schools, working with many companies, will be operating in the fall nationwide. Next month P-Tech’s first graduates will get their two-year associate degrees in computer systems technology. Three plan to pursue bachelor’s degrees and three will go to work at IBM.